I wonder if there is a topic for astrophotography of planets in this community? Submissions all go in the same monthly threads. You are welcome to start a new thread if you would like, though not much activity normally occurs outside of the submission threads. ASA10, Moravian 16200 and Azeq6. A crop and the field. 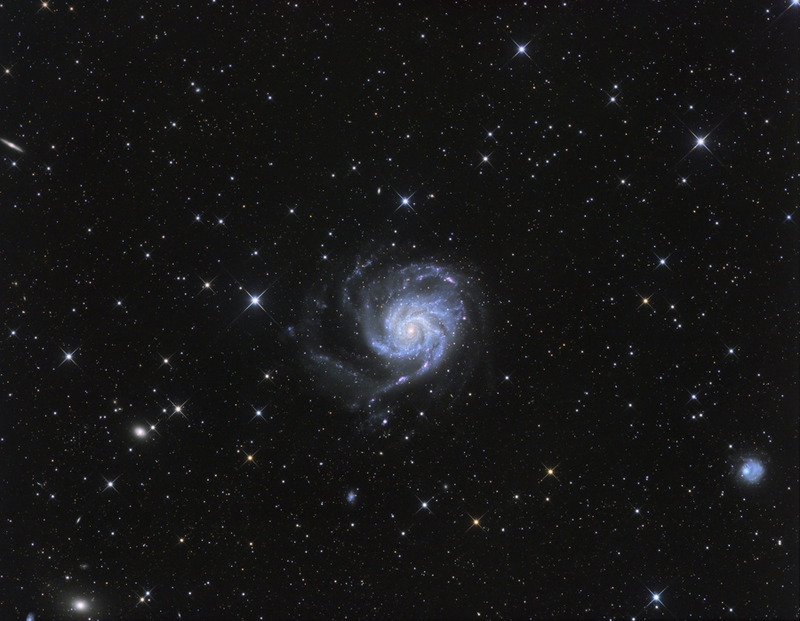 I particularly like the really widefield image, where we can compare M101 with its satellite NGC 5474 and also with a couple of yellow galaxies: NGC 5422, NGC 5473 and NGC 5485.